Compliance with all applicable sections of the Indiana Retail Food Establishment Sanitation Requirements 410 IAC 7-24 (Indiana Retail Food Code) is required. Mobile Food Unit – Means a retail food establishment that is a wheeled vehicle or trailer that is readily moveable and designed for the service of food from the interior of the unit that is intended to physically report to and operate from a commissary for supplies, servicing operations, and cleaning each operating day. Pushcart – Means a retail food establishment that is a non-motorized unit designed as an open-air type operation, which is intended to physically report to and operate from a commissary for supplies, servicing operations, and cleaning each operating day. Examples would be ice cream or hot dog cart. Pushcarts shall be limited to heating precooked food items (e.g. hot dogs, precooked sausages) and serving commercially prepared or commissary prepared food that will result in simple assembly. Self-Contained Mobile Food Unit – Means a mobile retail food establishment that is approved to operate without a commissary. The self-contained unit is required to report to an approved servicing location for such things as obtaining potable water and disposal of wastewater and other wastes generated by the unit. Commissary – Means a licensed food establishment to which a mobile food unit or pushcart returns to daily for such things as storage of food and supplies; cooking or preparing foods; cleaning of utensils and equipment; and servicing (refilling water tanks and disposal of wastewater). Preparation of food or storage of any items related to the operation is prohibited in a private home or living quarters (Reference Sections 423 and 424 of the Indiana Retail Food Code). All mobile food units must meet the following requirements prior to permit approval by the Porter County Health Department. Section 113 of the Indiana Retail Food Code – The mobile retail food establishment must be transported to a commissary or servicing area or both, at least once daily for supplies, cleaning and servicing (i.e. obtaining potable water, dumping of wastewater). Unless approved as a self-contained mobile food unit (see additional requirements for self-contained mobile food units on this page), each mobile food unit or pushcart must operate from a commissary for supplies, servicing, and cleaning each operating day. Self-contained mobile food units must have an approved servicing location such things as obtaining potable water and disposal of wastewater and other wastes generated by the unit. The commissary must be a licensed food establishment that meets all applicable requirements of the Indiana Retail Food Code. No food service operations allowed in a private home or living quarters (Reference Sections 423 and 424 of the Indiana Retail Food Code). If using a licensed establishment that is not owned by the mobile food unit or pushcart operator, the operator must have a signed letter of approval or commissary agreement from the owner of a licensed establishment stating the operations that will be allowed to be conducted at the establishment. If the mobile food unit or pushcart operator owns a licensed food establishment that is located out-of-county or out-of-state, then a copy of the food establishment license must be provided. Submit a detailed floor plan of the unit, equipment specifications, and complete menu. Provide proof of licensed commissary or servicing location (self-contained mobile food units). Contact the Porter County Health Department, Food Service Division, 219-465-2535 option 4, to schedule a pre-operational inspection. The location for the inspection will take place at the Porter County Health Department. The unit must be fully equipped and operational for the inspection. 1. Annual Retail Food Establishment Permit for $300. 2. Partial Year Retail Food Establishment Permit (seasonal) that is valid for six (6) consecutive months for	$150. Attach a copy of a current food handler certificate with application—if applicable. See the ISDH website for more information about the certified food handler requirements and exemptions and a list of entities offering training. Provide a complete menu. Note: Because the mobile food unit or pushcart design is related to the menu served, the Food Service Division must approve any change in the menu. 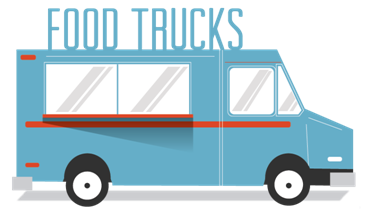 For Mobile Food Unit or Pushcart operators who only participate at one or a few temporary events in Porter County, we also offer a Temporary Event Food Vendor Permit at $20 per day, $100 maximum per event. For information on temporary event requirements and guides, click here. All mobile food units must have appropriate facilities for the specific type of food operation conducted on the mobile food unit or pushcart. All foods, beverages and ice must be obtained from an approved source. Any food preparation or food storage done off-site must be accomplished at a licensed food establishment. No home prepared or home canned foods or foods that have been stored in a home are allowed. All water must be obtained from an approved public water supply system. If water is from an individual well, drinking water test results shall be submitted with the application. A mobile food unit requiring a water system shall have a potable water system under pressure. The water system must have sufficient capacity to furnish enough hot and cold water for all food operation purposes such as food preparation, utensil cleaning and sanitizing, and hand washing. The mobile food unit fresh water tank must be: (1) constructed of a food grade material, (2) enclosed from the filling inlet to the discharge outlet, (3) sloped to an outlet that allows complete drainage of the tank, (4) have an inlet that is 3/4” in inner diameter or less, and provided with a connection that will prevent its use for any other service. All connecting hoses must be food grade and clearly identified as to their use (so as not to be mistakenly used for another purpose). Proper backflow/back-siphonage devices must be installed at the water source of the mobile food unit if water is continuously supplied at any given time (by a hose, pipe, etc.). The device must be approved for continuous pressure and no cross-connections or potential sources of contamination will be allowed. All wastewater (except water from clean ice) must be contained in a permanently installed retention tank that is at least fifteen percent (15%) larger in capacity than the water supply tank. The wastewater retention tank must be sloped to a drain that is one (1) inch in inner diameter or greater, equipped with a shut-off valve. Wastewater must be removed in such a manner that a public health hazard or nuisance is not created. Wastewater must be discharged into a sanitary sewer or other approved sewage treatment system. Do not dump wastewater onto the ground or in a storm drain system. Hand sinks are required if any open food or beverage in the mobile food unit. A hand sink must be capable of providing hands-free, continuous flow of hot and cold running water that is under pressure. Hot water must be able to reach a minimum of 100°F. The hand sink must be equipped with soap and paper towels. The hand sink must be easily accessible and used for no other purpose. If food preparation takes place outside of the unit, the outside area must also be provided with proper hand washing facilities. A portable hand washing station is acceptable and must also be equipped with warm running water (via spigot), soap, paper towels, and a catch bucket to collect wastewater until it is properly disposed. If preparing/handling open foods on the mobile food unit provide a three (3) compartment sink to wash, rinse and sanitize utensils, dishware and equipment. Each bay must be large enough to accommodate the largest utensil or equipment. Proper drain boards, utensil racks, or movable dishtables must be provided for storage of soiled and clean dishes. If any of the above items are taken off premises for washing, they must be properly cleaned and sanitized in a licensed commissary. Proper sanitizer and test kit must be provided and used in each unit. All equipment and food contact surfaces must be in good repair, non-absorbent, corrosion-resistant, and easily cleanable. All equipment must be installed to allow easy cleaning. All refrigeration units installed in mobile food units must be able to maintain internal food temperatures at 41°F or below. All hot holding units installed must be able to maintain internal food temperatures at 135°F or above. Accurate and properly located ambient air thermometers must be provided in all hot and cold-holding units. A probe/stem thermometer must also be provided for monitoring internal food temperatures. Adequate power supply for operation of all equipment. Only single-service utensils and dishware shall be provided for use by the consumer. Commercial mechanical exhaust ventilation must be provided above ranges, griddles, deep fat fryers and similar equipment to remove high heat, smoke, steam, odors, or grease. Ventilation systems must meet local fire regulatory requirements. All floor, wall, and ceiling surfaces must be constructed of materials that are smooth, durable, corrosion-resistant, non-absorbent, and easily-cleanable. Lighting inside the mobile food unit shall have a minimum of 70 foot-candles. All lights must be shielded or shatterproof. All outside openings (such as exterior doors, pass-through windows, etc.) must be protected against the entry of insects, rodents, and outdoor weather conditions by screens, fly fans, self-closing and tight-fitting doors. Any outside food preparation or serving area must be properly covered to protect the food from contamination (except over grilling unit due to fire safety reasons). Non-potentially hazardous beverages that are dispensed from covered urns or other protected equipment, and ice is not scooped. An approved servicing location is provided and used for such things as obtaining potable water and for disposal of wastewater and other wastes generated by the unit. The mobile food unit’s water and wastewater systems are adequately sized and operated properly to serve the needs of the unit. Adequate storage areas are provided within the mobile food unit for all food products, dry goods, single-service articles, utensils and equipment, and cleaning supplies. Adequate facilities, as required by the menu, are provided, including food preparation and cooking equipment, hand sink, warewashing facilities, mechanical refrigeration, and any other necessary equipment. A pushcart must use a licensed commissary for storage of food and supplies, food preparation, cleaning and sanitizing utensils and equipment, and servicing operations. The pushcart must be constructed of food grade, easily cleanable surfaces. Have a permanently installed hand sink with free flowing hot (100°F) and cold water, soap and paper towels. Wastewater holding tank must be 15% larger than the fresh water tank. No sinks are required if serving pre-packaged foods only (e.g. packaged ice cream). The pushcart must have overhead protection. Must be able to reheat precooked hotdogs and sausage products within 2 hours. Potentially hazardous foods must be kept at 41°F or below or 135°F or above.